Posted in 2012, Books, Consciousness, Creativity, Culture, Death, Eschaton, Evolution, Extraterrestial, Imagination, Mayan, Palenque, Psychedelics, Science & Technology, Terence McKenna (mp3), Timewave. Can someone remember which one of Kurt Vonnegut’s books was briefly discussed by Terence in one of the podcasts from this series? Find your wave a surf it…. Those interested in Taussig’s thought might enjoy this interview with P.L. Wilson: http://sfbay-anarchists.org/wp-content/uploads/2015/03/michael-taussig-ayahuasca-and-shamanism1.pdf (I’m not the owner of that link- it looks kosher to me but if its funky or malware-y, feel free to delete this message). 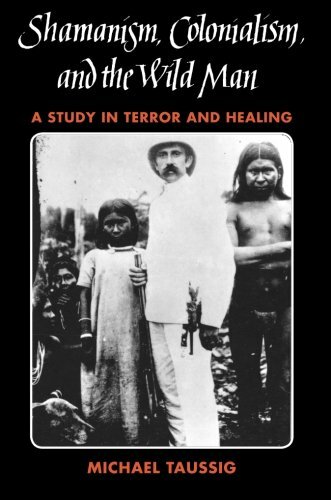 Coincidentally, for this “Columbus day”, that book is also a profound depiction of the hellish legacy of colonialism in the rubber trade and the political history of the Amazon, something TM sometimes glosses over. I didn’t go to the conference in Prague, but it reminds me of the documentary McKenna was in called the Alchemical dream. I had a psychedelic experience when I was 17 and it was an overwhelming trip. I wasn’t prepared for it, and had never heard of anyone having these experiences. Later that week I searched my local library with keywords and stumbled upon true hallucinations. That was back in 2009. Thanks to the internet and places like the psychedelic salon ive discovered other people have had these experiences with sacred medicine. I couldn’t go to friends or family because they just don’t seem to understand psychedelics. That is partly my fault because I can’t explain them like McKenna does in his lectures. Its a huge relief to know I’m not alone on this subject. I want to give a big thank you to Lorenzo and all the other people out there on the salon. I was also at Beyond Psychedelics in Prague and never miss an episode of the podcast. The only thing I would like to mention regarding the speakers is that Simon Green (from Australia) was a welcomed and refreshing voice on an otherwise clinical panel discussion. I would like to hear more from this fellow as his perspective provides a much needed balance. Send that Slack invite my way if you would. Looking forward to getting involved with the new site.